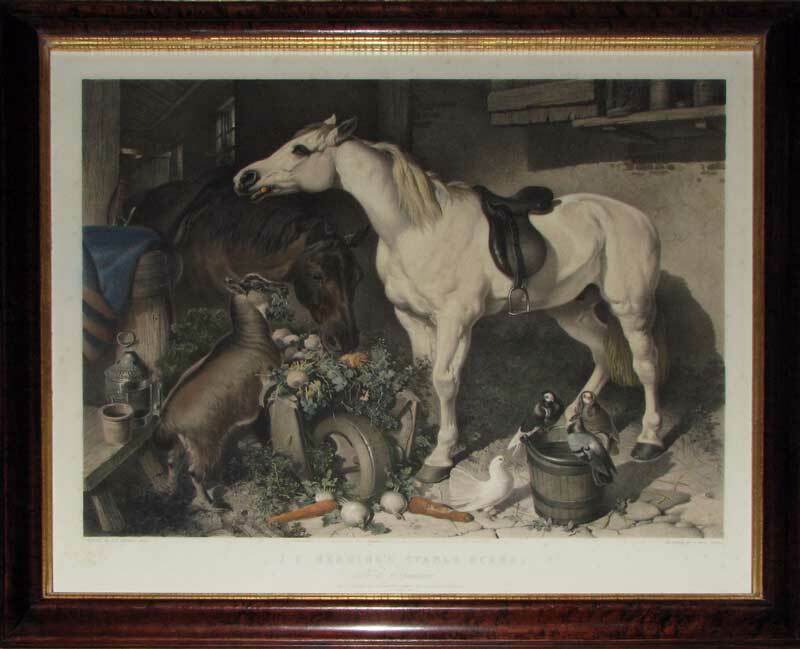 J. F. Herring (1795-1865) was one of the most talented, successful and popular equestrian artists of the first half of the nineteenth century. During his long career he painted many of the most famous race horses of the day but also produced wonderfully evocative rural scenes that captured all the excitement of a hunt or the tranquillity of a farmyard. John West Giles was both a painter and lithographer who worked in both Aberdeen and London. He flourished in the middle of the nineteenth century and produced some exceptional work. 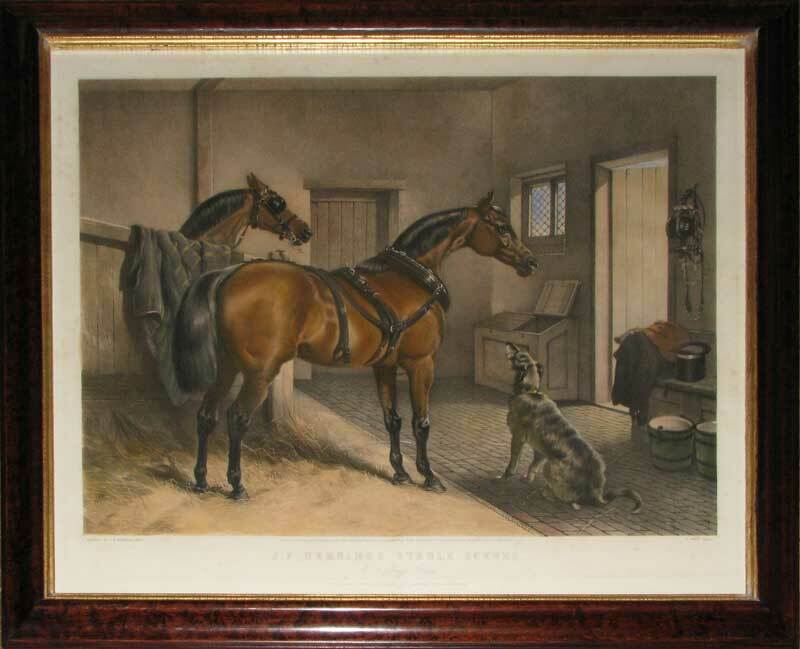 Like many artists, Giles appreciated the freedom of expression that came with lithography and this magnificent study of horses in the stables illustrates beautifully what can be achieved through this artistic medium.